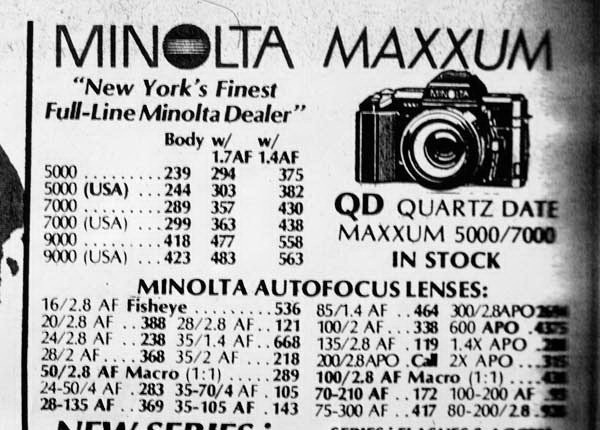 Minolta AF lens list prices from 'back in the day'. After receiving more information on prices, I'd have to say you could probably subtract 10% from the lower prices on the lenses above, and come to a realistic, (local camera shop) retail price in the US. Magazine ads scans, and dealer pages. This ad is probably from the late 1980s, and obviously from a discount NY camera shop, maybe B&H photo or Adorama. This is a magazine scan sent here by a reader of the site. 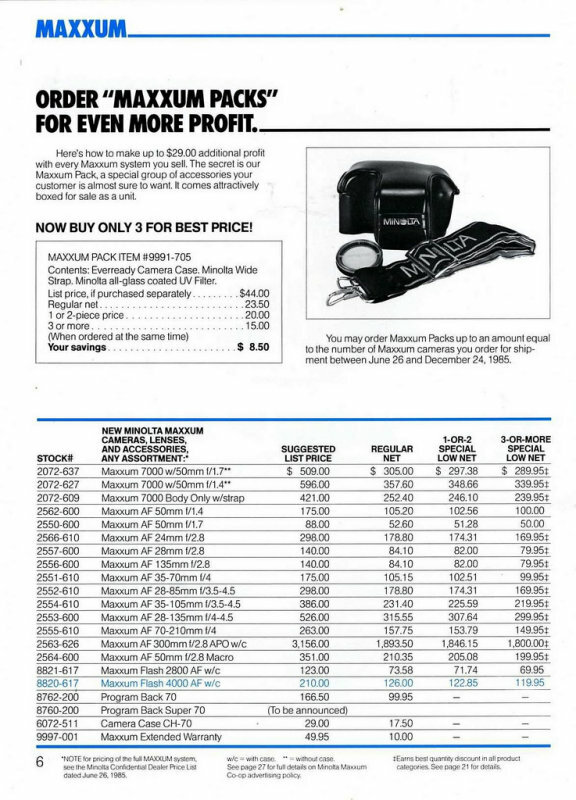 The prices listed in this ad are mostly lower than what you see in the charts above, but this is from a discount dealer, and most people back then didn't buy through mail-order. The next three ads were sent in by kind readers from "Sony club Russia." 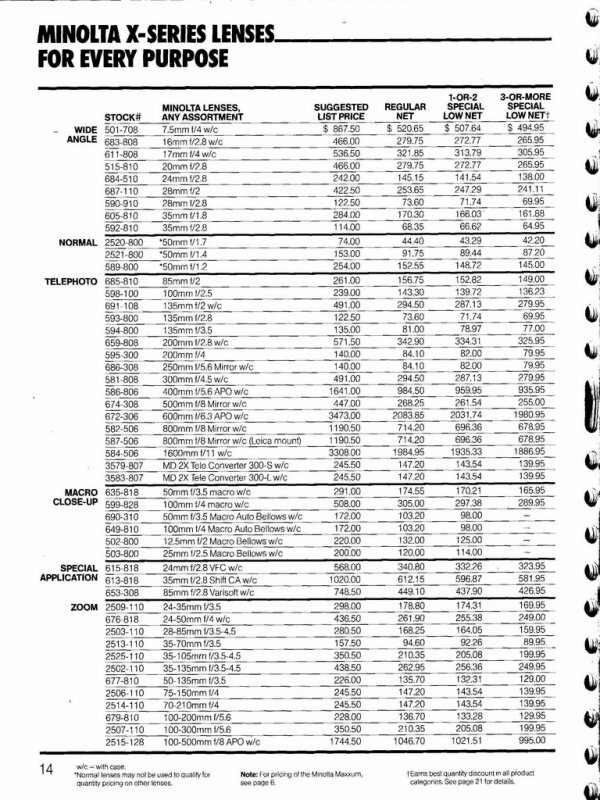 The first two images are from dealers price pages, the last is a print ad probably from a NY photo retailer in the late 1980s. The image sizes are a little small and hard to read, but this is what they sent.